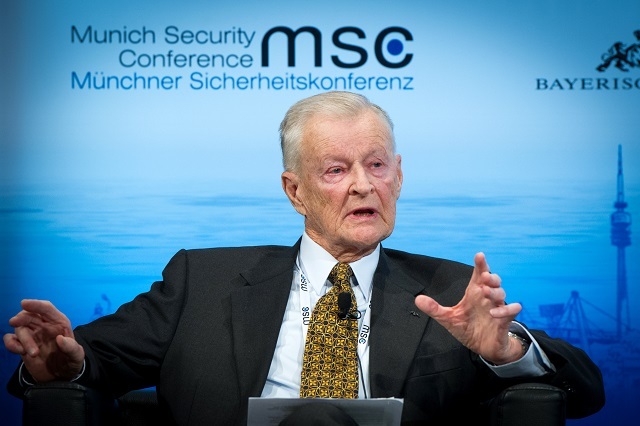 Zbigniew Brzezinski, one of the most influential US political thinkers at the height of the Cold War, has died aged 89, according to his daughter. The advocate of US hegemony, Brzezinski, authored numerous proposals to bring down the Soviet Union. "My father passed away peacefully tonight," his daughter and MSNBC anchor Mika Brzezinski wrote. There was no word of the cause of death. Arming the Mujahideen in Afghanistan to bleed the Soviets, transforming Iran into an anti-Western republic, and the brokering of the Camp David Accords – are among the best known outcomes of his strategies. “We didn’t push the Russians to intervene, but we knowingly increased the probability that they would,” he said in a 1998 interview with Le Nouvel Observateur. “The day that the Soviets officially crossed the border, I wrote to President Carter, essentially: 'We now have the opportunity of giving to the USSR its Vietnam war.'" “That secret operation was an excellent idea. It had the effect of drawing the Russians into the Afghan trap and you want me to regret it?” he told the interviewer. Less than four years later, those “agitated Moslems” would destroy the World Trade Center and damage the Pentagon, setting off the endless “war on terror” that continues to this day.